External Incentives and Internal Motivation – a perfect pairing to boost work performance! 1) Work results depend on a person’s internal motivation. 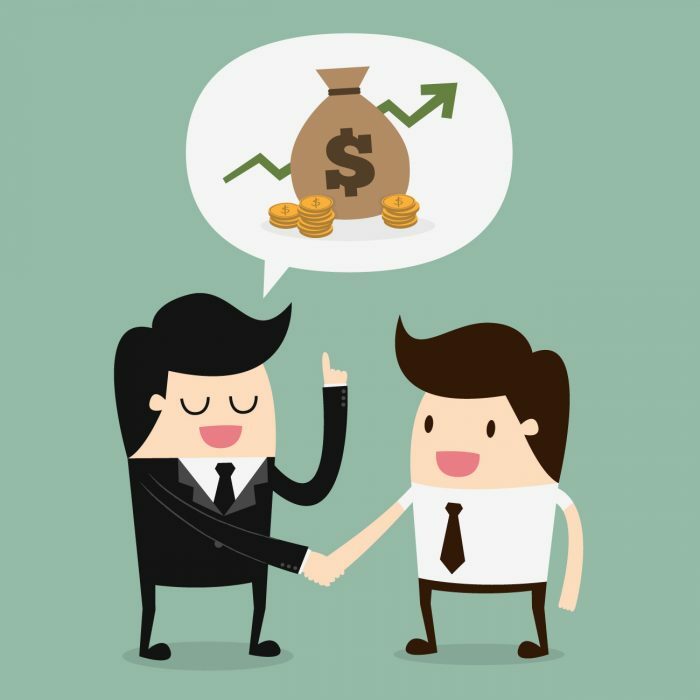 2) The belief that money or bonuses can decrease employees’ internal motivation is only partially founded – financial rewards and recognition can sometimes increase the positive relationship between internal motivation and work performance. 3) While enjoyment may be more beneficial for complex activities, incentives seem to matter more for straightforward, repetitive work. If you’ve ever managed a team, you’ve probably faced the challenge of keeping your staff enjoying their work. The good news? You are not alone! Keeping employees motivated is a challenge across many organizations. For many years, practitioners have tried to figure out what is more beneficial for work outcomes: internal enjoyment and interest in doing the activity for its own sake – known as intrinsic motivation – or external incentives like material benefits, promotion and acknowledgement? And what’s more, do things like monetary bonuses or recognition may transform an employee who is intrinsically motivated to do his job well into a reward-seeker indifferent to his internal interests? To answer these questions, Cerasoli, Nicklin and Ford (2014) conducted a robust meta-analysis based on 40-years of investigation into the relationship between motivation and performance. Their results may provide some guidance on how to tackle motivation in organizations. Internal motivation and external incentives – friends or enemies? The first step of the meta-analysis was to check if intrinsic motivation predicted performance. The results are not surprising – the study indicates that internally motivated people who enjoy what they do rarely perform poorly. On the other hand, in the work context, it’s unlikely that enjoyment and internal interest ever appear in isolation. External rewards like bonuses, acknowledgement, or promotion, have become an integral part of almost every job. For this reason, Cerasoli, Nicklin and Ford (2014) went one step further, asking if extrinsic incentives may change the positive relationship between intrinsic motivation and work-related outcomes. The authors distinguished between two types of incentives: directly and indirectly salient. Directly salient incentives are visible and immediately and clearly related to performance, like sales commissions and end-of-year bonuses. Instead, a base salary is a good illustration of indirectly salient incentive – even though it’s related to performance, the link is less clear and visible than, for example, commissions from sales. So, do intrinsic motivation and incentives work together to influence productivity? Yes, but only when the incentive is indirectly salient. 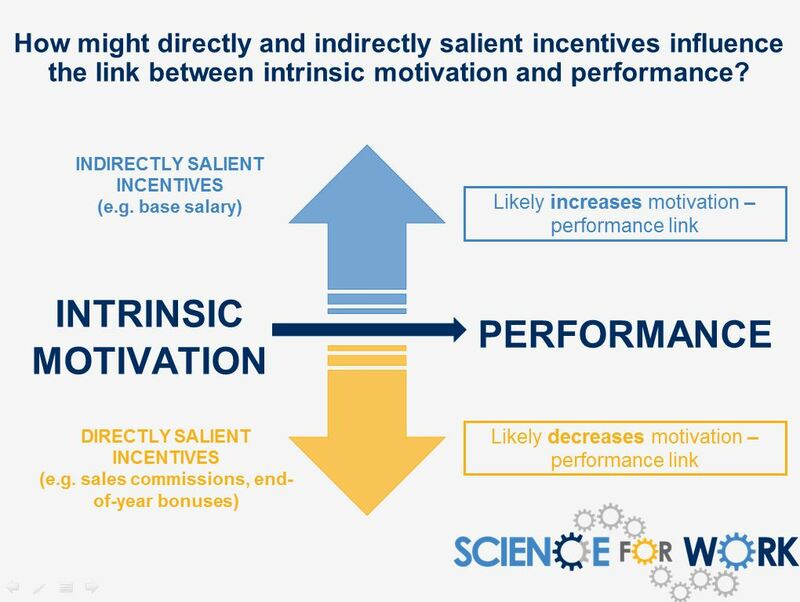 When a reward is less dependent on day-to-day performance, like base salary, it doesn’t end up harming the relationship between intrinsic motivation and productivity because intrinsic motivation is probably the main influencing factor. On the other hand, rewards strictly linked to productivity, like bonuses or commissions, may negatively alter the link between internal interest and performance outcomes. That’s why directly salient incentives and intrinsic motivation are not “the best friends” for improving work outcomes. There is still one unanswered question – which matters more for performance, intrinsic or extrinsic motivation? The answer is more complex than you may suppose. Cerasoli, Nicklin and Ford found that it seems to depend on the type of task being performed, specifically whether it’s creative or complex (quality-type task) or straightforward and repetitive (quantity-type task). According to the meta-analysis, intrinsic motivation is likely more meaningful for quality-focused tasks. The findings of this study indicate that intrinsic motivation explains 35% of performance on these types of task, while external incentives explain just 6%. However, extrinsic incentives, seems to be more predictive of performance for quantity-oriented tasks. The analysis found they explain 33% of the results. 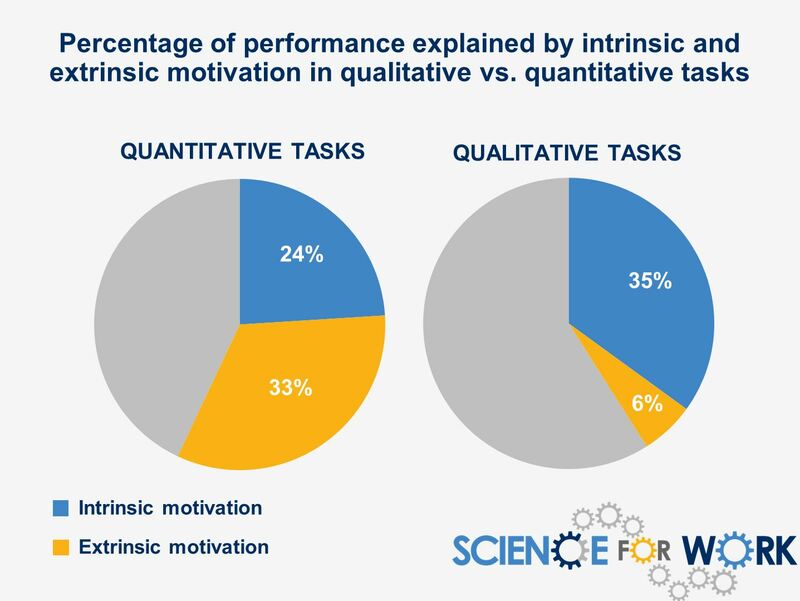 Importantly, the study indicates that intrinsic motivation may also play a role for quantity-type tasks, finding its leverage on performance is 24% . Let’s think about a practical example. What may motivate John – a doctor – and Peter, who installs car window glass? John’s job is quality-oriented and requires personal engagement and commitment. 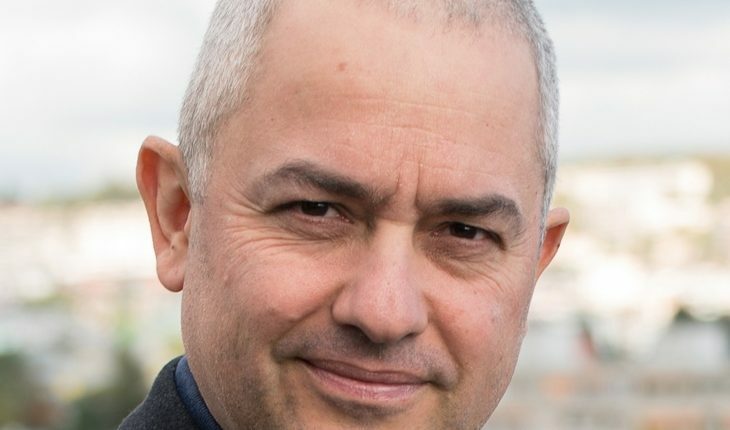 To motivate John, we should think how to reinforce his enjoyment at work, interest in the activities he does and internal willingness to do his job well. On the other hand, Peter’s profession seems to be more simple and repetitive. In this situation, we can make use of financial bonuses, recognition and other external rewards. They may help to maintain Peter engaged in the tasks he performs and improve his work results. First of all, intrinsic motivation is likely a good performance predictor. Remember, it’s likely that the more intrinsically motivated your employees are, the better results will they have. This rule works with both quality- and quantity-oriented activities, so try to make the work your people do as intrinsically rewarding and enjoyable as possible. Second, save external incentives for highly repetitive, simple and generally less enjoyable tasks. In such cases, employees’ productivity may grow when pay is directly linked to productivity. On the other hand, if you need to improve performance of complex tasks that demand personal investment, absorption and are focused on quality, it’s likely better to make use of intrinsic motivation. Finally, what exactly can we do to maintain a team’s intrinsic motivation? Making the employees feel competent and giving them autonomy seems to be a good way to increase intrinsic motivation (e.g. Kuvaas, 2008). Try to make sure that the employees in your organization do the job that is in line with their professional interests. If possible, allow your people to make decisions about their work, e.g., let them determine how to schedule the tasks they have to do. Don’t forget about feedback – let your employees know what they’re good at and what they should improve. You can also try to make external rewards – both financial and non-financial — more effective. Remember that they are directly connected to performance, so the first thing you should do is to define what does performance mean in your organization, how it will be measured and verify if the reward is closely tied to performance. Another option might be to reward employees immediately after they perform well, and be clear about why they have been rewarded (Aguinis, Joo, & Gottfredson, 2013). Which type of tasks do your employees perform? Are they quality-or quantity-oriented? Which motivators might be most effective for them? What motivators do you already apply in your organization? 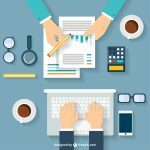 Based on what you learned with this Evidence Summary, do you still feel they are they suitable for the type of work your team does? Aguinis, H., Joo, H., & Gottfredson, R. K. (2013). What monetary rewards can and cannot do: How to show employees the money. Business Horizons, 56, 241-249. Kuvaas, B. (2008). A test of hypotheses derived from self-determination theory among public sector employees. Employee Relations, 31, 39-56. 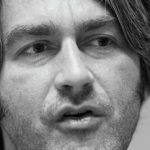 Pingback: Why replicating the private sector isn’t the answer – the fallacy of performance based pay. – I had a thought.